Let’s admit it- DIY projects are exciting and one can never get bored of trying out new things to add life to dull and boring corners of our home. However, it is extremely difficult to estimate the amount of paint that one needs for various such projects. As a result, we are often left with considerable amounts of spare paint samples after our DIY project is over. 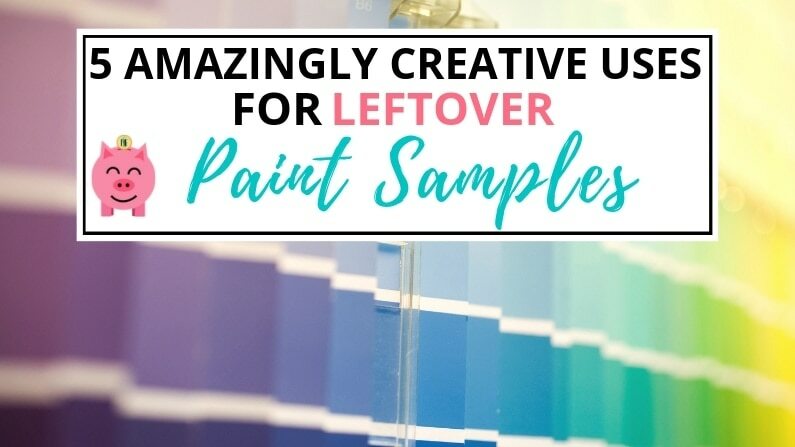 If you have been wondering how to put these left-over paint samples to good use, this article is just for you. Read on and get motivated. Have you ever thought about the instant pop of color that brightly hued frames can add to your walls? If you have plain frames in your home and some left-over paint samples, you can create a colorful corner in your rooms by simply coloring up those boring frames. By choosing different color combinations, you can create a different appeal for different rooms. Alternatively, use a splash of colors to make your plain walls good-looking instantly, without spending a penny. This is perfect for those that rent and can’t change the color of their walls. Paint your frames with leftover paint samples to give them a pop of color. Have you ever thought that spare samples of paint could be used to add interesting motifs by using stencils? There is no limit to the creativity you can unleash by this simple hack. Transform your plain cotton rugs into quirky decor by using spare paints with stencils. You can also create interesting patterns on your table covers, table runners, napkins and other pieces of furnishing like curtains. Depending on the stencil used, you can achieve a modern, classic or quirky look. Ever noticed the sides of your drawers when you pull them out? They are waiting to be painted! Use your left-over paint samples and create colorful magic by going plain and solid, or create unique and quirky patterns. Before starting to paint the sides, make sure that your sand the sides properly to create a uniformly smooth surface. Apply two coats of paint for best results and add a layer of protective varnish when dry. You will be happy to see the bright sides of those drawers every time you pull them out. We all have wooden furniture that starts looking plain and boring after a few years. 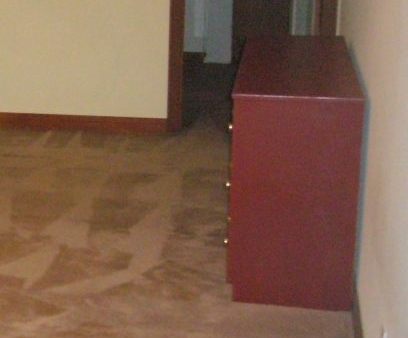 If you notice a similar piece of furniture in your abode, there is no need to buy a new one. Simply accent it by using your left-over paint samples and make it stand out. You may make a pattern or design or just go solid. Go creative with those book shelves, stools and chairs. In my case, the dresser below was gifted to me when I moved into my new apartment. Functionally it was great but the color left much to be desired. My landlord allowed me to choose my own neutral paint color and I had purchased a variety of paint samples to try. 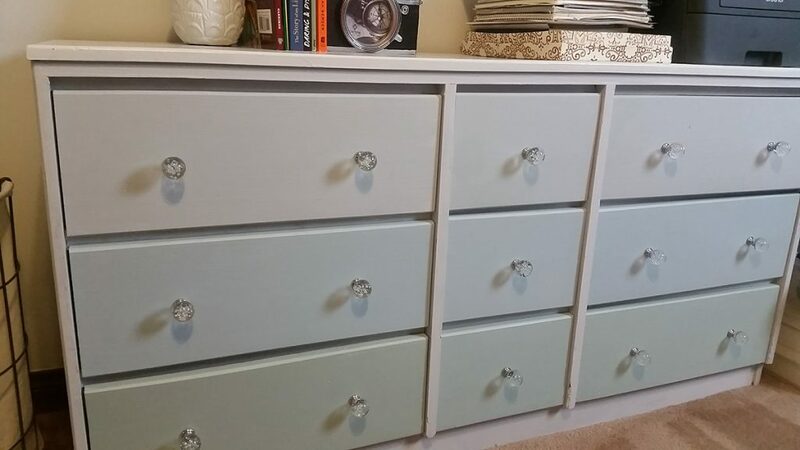 These worked out great to create an ombre effect on the drawers! Add some crystal knobs and this dresser was good as new! Give old furniture a new look, update with leftover paint samples. Go plain and basic or bright and bold…use what you have on hand! Murals not only look great, but also add a touch of class to any room. You can make a good use of your spare paint samples by painting a mural on your balcony wall, living room, or any other corner of your house. With a little bit of online help, you will be able to create a cosy corner in your home. A DIY painting like this one can be quick, easy and relatively inexpensive to create. The best thing about a DIY masterpiece is that you can repaint it any time you want to start fresh. 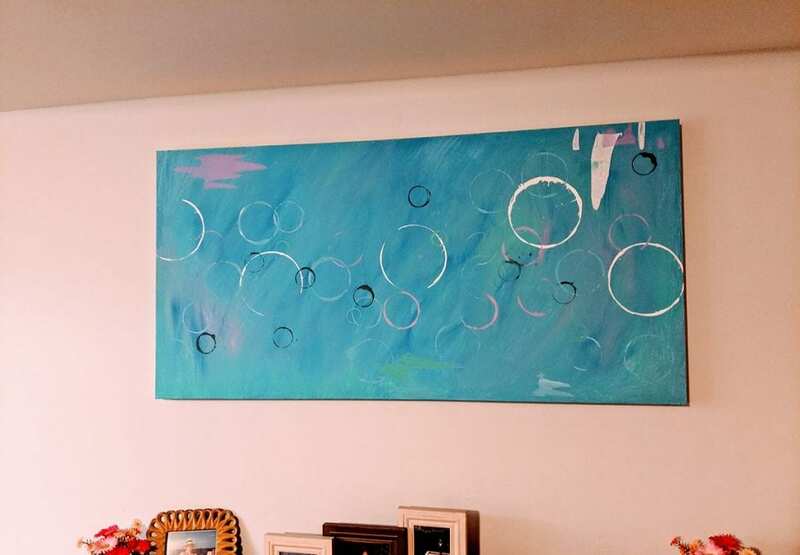 This painting hangs in my living room, a 9 and a 10 year old helped me paint it. We used paint samples, old bowls and cups to make circles. It was tons of fun and now they see the masterpiece they helped create hanging every time they come into my living room! 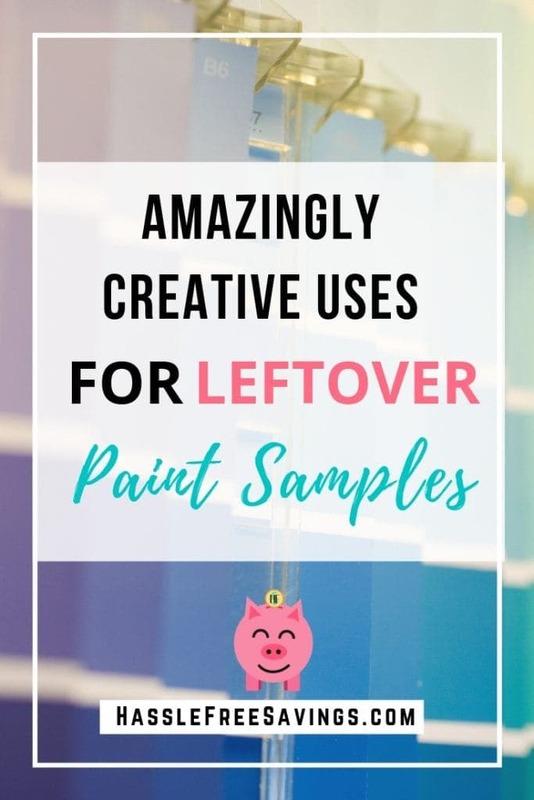 Paints don’t come cheap and it is unfortunate to throw away your left-over paint samples because of lack of ideas to use them. The uses for paint samples are only limited to your imagination. By using any of the ideas mentioned above, you will be able to make the best use of your money spent on paints, and also contribute to the betterment of the environment. What are you going to use your spare paint samples for?